(VIDEO) Her Majesty Queen Letizia of Spain Participates in a Meeting in Madrid. (VIDEO) Her Majesty Queen Letizia of Spain Presides Over the 25the Edition of the Premios FEDEPE. On Tuesday, July 26, 2016, Her Majesty Queen Letizia of Spain arrived at the Parque del Retiro in Madrid to preside over the 25th Edition of the Premios FEDEPE (Spanish Federation of Female Directors, Executives, Professionals and Entrepreneurs). The FEDEPE awards recognize women leaders as well as organizations for their exceptional championship of gender equality. 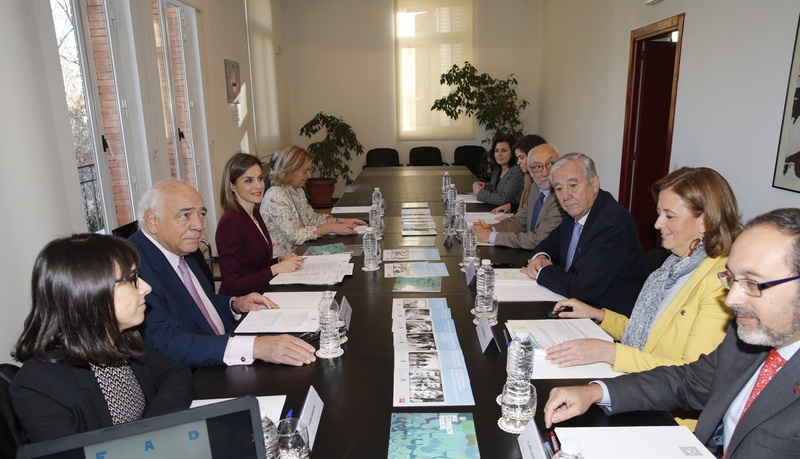 HM Queen Letizia of Spain Participates in a Meeting in Madrid. On the morning of January 12, 2016, Her Majesty Queen Letizia of Spain, as Honorary President, participated in a meeting with members of the Fundación de Ayuda contra la Drogadicción (FAD) in Madrid, Spain. HM Queen Letizia of Spain Holds Audiences at Palacio de La Zarzuela. On the morning of Friday, January 8, 2016, Her Majesty Queen Letizia of Spain held an audience with representatives from the Fundación Secretariado Gitano at Palacio de La Zarzuela in Madrid. Thereafter, Her Majesty met with members of the Junta Directiva de la Plataforma de Organizaciones de Infancia de España. (VIDEOS) TMs King Felipe VI and Queen Letizia of Spain Preside Over the 2016 Pascua Militar. On Wednesday, January 6, 2016, Their Majesties King Felipe VI and Queen Letizia of Spain presided over the 2016 Pascua Militar held at the Palacio Real in Madrid, Spain. (VIDEO) A Christmas Message from His Majesty King Felipe VI of Spain. Here is the 2015 Christmas message from His Majesty King Felipe VI of Spain. The pre-recorded message was filmed at Palacio de La Zarezuela in Madrid. Her Majesty Queen Letizia of Spain Holds an Audience and Presents an Award. 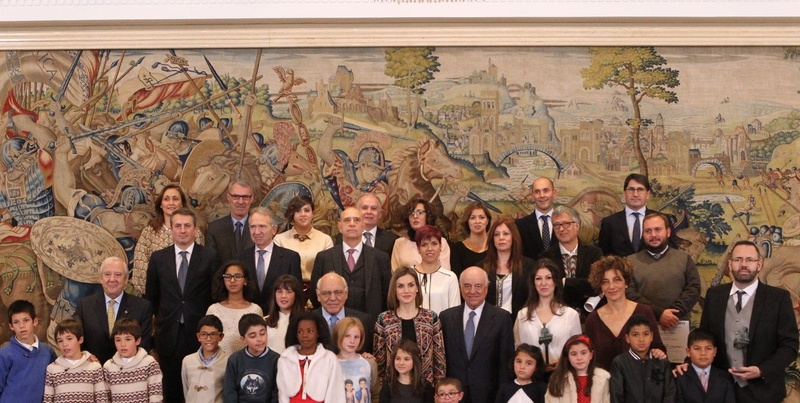 On Wednesday, December 16, 2015, Her Majesty Queen Letizia of Spain held an audience with representatives from the Fundación de Ayuda contra la Drogadicción (FAD) at Palacio de La Zarzuela in Madrid. Thereafter, Her Majesty presided over the 2015 Premios a la Acción Magistral (award ceremony) inside the Salón de Magnolias. The winner of the Educación Infantil y Primaria award went to Spanish author, Ms. Ana Isabel Garrido. The winner of the Educación Secundaria, Bachillerato y Especial award went to Ms. Ester Martínez Massana, and finally the winner of the Proyectos en Red went to Mr. Román Ruiz Guirao. TMs King Felipe VI and Queen Letizia of Spain Attend a Funeral in Madrid. On Tuesday, December 15, 2015, Their Majesties King Felipe VI and Queen Letizia of Spain attended the funeral of Mr. Jorge García Tudela and Mr. Isidro Gabino San Martín Hernández at the Complejo Policial de Canillas in Madrid, Spain. (VIDEOS) TMs King Felipe VI and Queen Letizia of Spain Participate in a Meeting in Madrid. 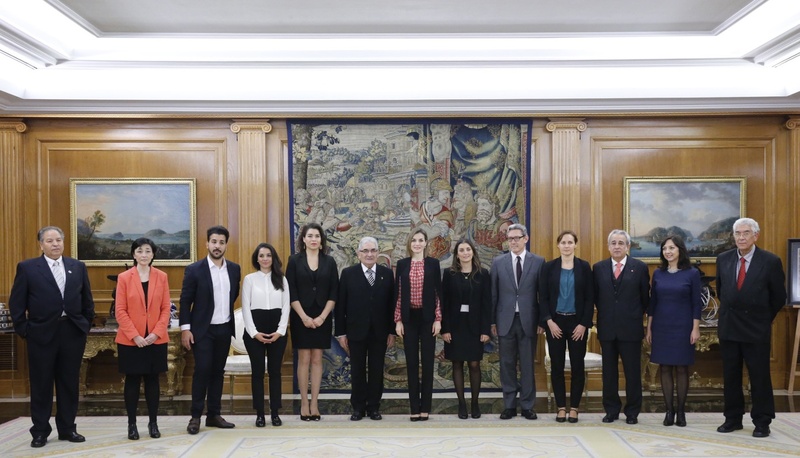 On the morning of Monday, December 14, 2015, Their Majesties King Felipe VI and Queen Letizia of Spain participated in the 13th meeting with board members from the Fundación Princesa de Girona at Palacio Real in Madrid. Prior to the meeting Their Majesties and the board members observed a moment of silence in remembrance of the Spanish security officer as well as police officer who were killed near the Spanish Embassy in Kabul, Afghanistan last Friday. HM King Felipe VI of Spain Holds Audiences. On Friday, December 11, 2015, His Majesty King Felipe VI of Spain held an audience with representatives from the Comisión del Cuerpo de Ingenieros Politécnicos as well as with representatives from the Agregados de Defensa, Militares, Navales, Aéreos and the Armamento acreditados en España and Comisión de Representantes Españoles at Palacio Real in Madrid. 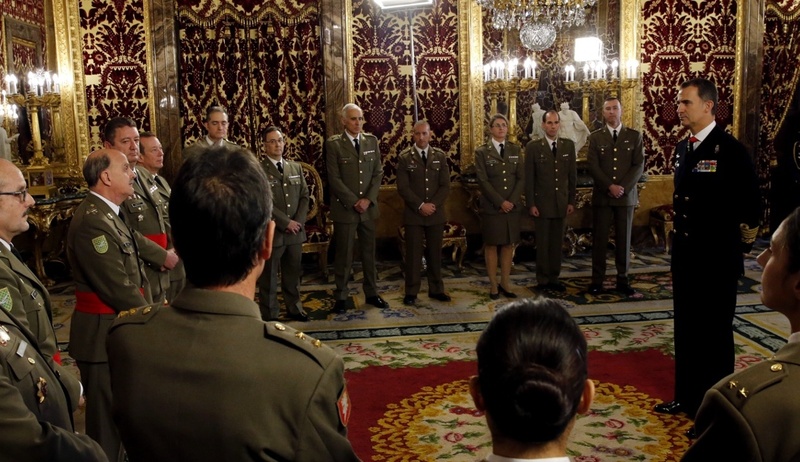 His Majesty also met with various colonels and captains from the Spanish Armed Forces. TMs King Felipe VI and Queen Letizia of Spain Attend an Award Ceremony in Madrid. 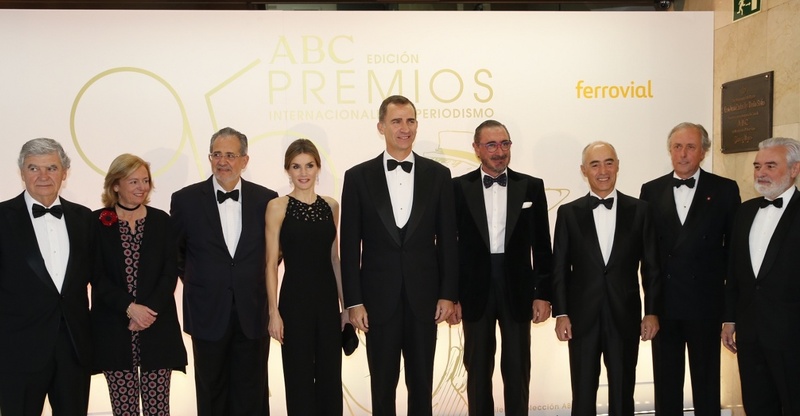 On the evening of Thursday, December 10, 2015, Their Majesties King Felipe VI and Queen Letizia of Spain arrived at the Casa de ABC in Madrid to attend the 2015 Premios Mariano de Cavia, Luca de Tena, and Mingote awards ceremony. The Premio Mariano de Cavia went to Spanish journalist, Mr. Carlos Herrera Crusset, for his article entitled, Muros de Ayer y Hoy. The Premio Luca de Tena went to Mr. Miguel Henrique Otero, editor of the Venezuelan newspaper, El Nacional. The Premio Mingote went to Mr. Javier Barcáiztegui for his cartoon published in the November 2014 edition of the journal, Trofeo. After the ceremony Their Majesties and hundreds of guests attended a gala dinner in honor of the winners of the three awards. On the morning of December 9, 2015, Her Majesty Queen Letizia of Spain arrived at the Sede de FEDER in Madrid to participate in a meeting with representatives from the Federación Española de Enfermedades Raras. 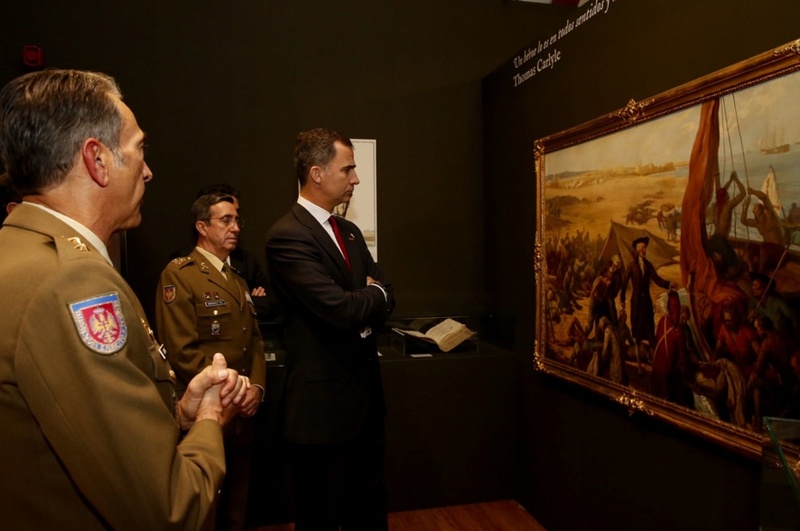 His Majesty King Felipe VI of Spain Inaugurates an Exhibition at Casa de América. 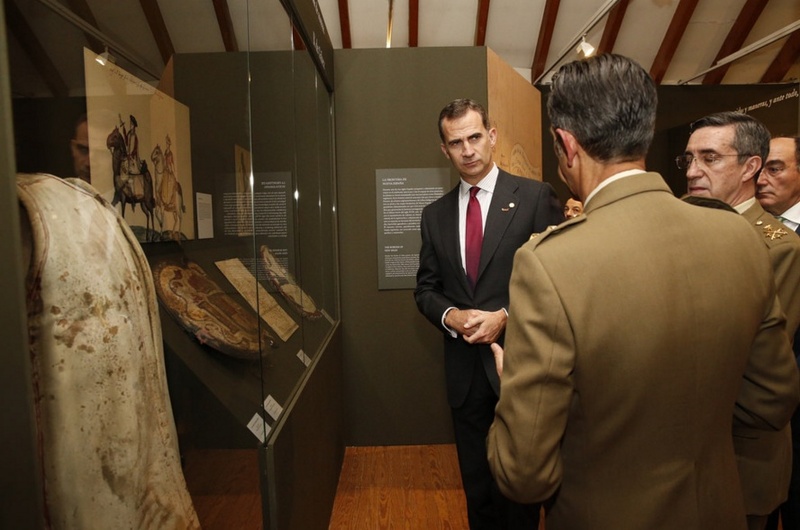 On the afternoon of December 3, 2015, His Majesty King Felipe VI of Spain arrived at the Casa de América in Madrid to inaugurate the exhibition, Bernardo de Gálvez y la Presencia de España en México y Estados Unidos. 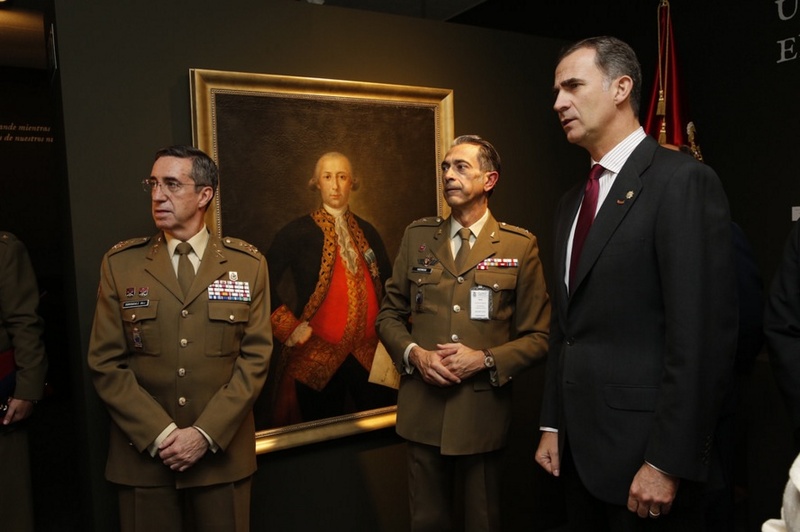 The exhibition, organized by the Instituto de Historia y Cultura Militar el Ejército de Tierra and the Casa de América, tells the story of General Bernardo de Gálvez one of Spain’s most important military figures. Gálvez was also the colonial administrator in the 18th century who was the Colonial Governor of Louisiana and Cuba and later became Viceroy of New Spain. Bernardo de Gálvez y la Presencia de España en México y Estados Unidos will be open to the public until March 12, 2016 at Casa de América.